Yesterday you two got into a fight over who should push the Power button on the TV remote control. You also decided to irritate each other during our table time as you colored pictures for me on one end and I folded clothes on the other. During those squabbles, I found myself inwardly sighing, reminding myself that these things really do feel like the world to you right now, and to patiently help you work through these things in a way that teaches how to resolve conflict, but more importantly, how to let things roll off your back and let your love for one another be greater than your momentary irritation. And you two, how I love you. We’re already slowly getting into summertime routine/mode. Later evenings, later mornings. Days of running around outside followed by tick checks and more baths than you ever get in the winter (because hello, dirt!). Yesterday morning I tiptoed into my bedroom to pull out jogging clothes and was met with the sweetest scene. 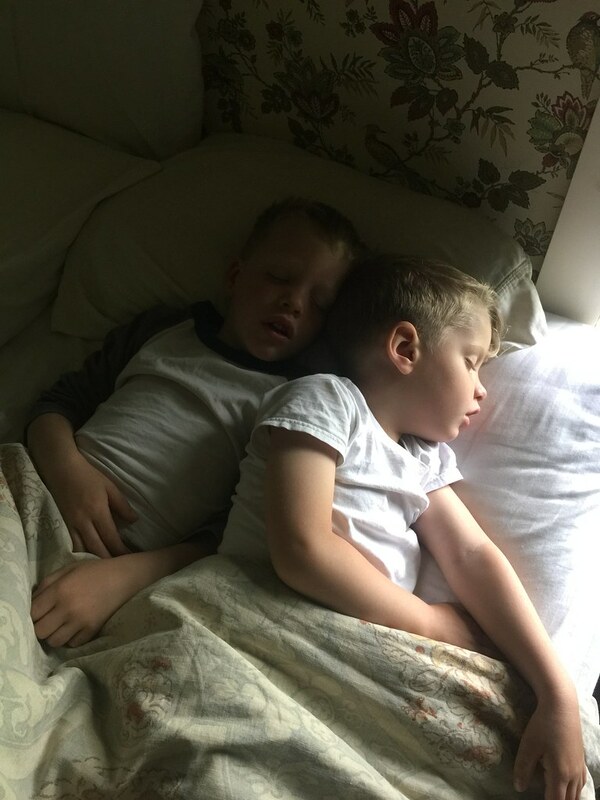 There won’t be very many more years when you two will both crawl into bed to join Daddy and I, or when you will cozy up together so close. I love how much you two, despite the hiccups throughout the day, love each other so much already. days of playing Musical Beds and waking up close together. 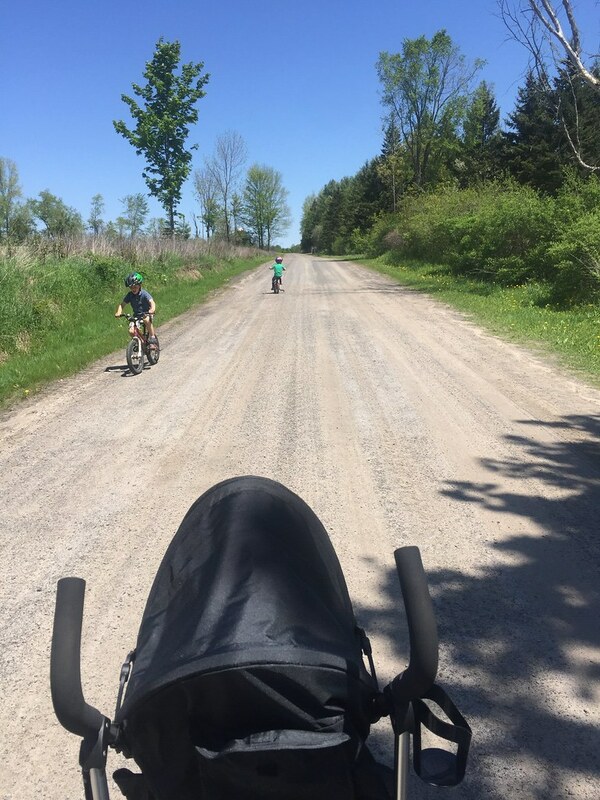 afternoon walks/bike rides with my little people. from a requested outing to the local bowling alley over the weekend. 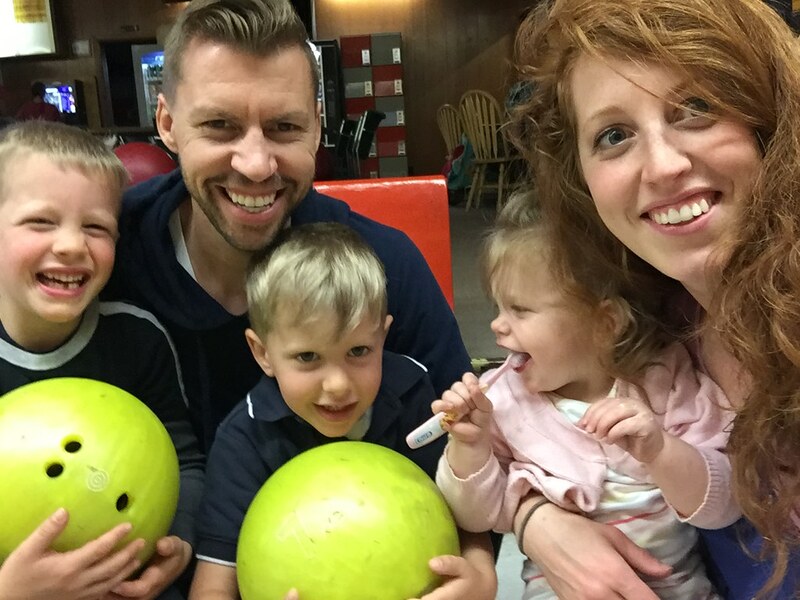 one game occupied us for some time, and the boys went to bed that night asking if we could go bowling the very next day. i think they enjoyed it. Yes, to remember. Friends for life. Siblings and parents. It’s a God-size plan!